Markham's Behavioral Health: Pain does not mean, necessarily, suffering. 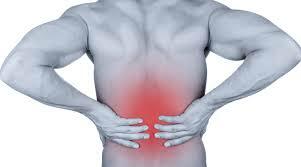 I meet with many clients who complain of pain of all types and in all parts of the body. Some of them are on pain medications which sometimes become abused and then sometimes the person becomes addicted. Once a person becomes addicted to pain medication, especially opiates, withdrawal from the drug causes pain all its own and it becomes difficult to discern how much of the pain the person is complaining about is generated by physical problems and how much from the medication withdrawal. At this point, pain becomes a viscous cycle because the easiest way to stop the pain of withdrawal is with more of the medication that is causing the addiction in the first place. Sometimes I share, in therapy, the idea with the client that it can be helpful to make a distinction between pain and suffering. Some people have difficult pain but they do not suffer because they have found ways to cope with the pain. Other people have little pain but suffer a great deal because of their fears and resistance. Studies have found, interestingly, that two of the best ways to cope with pain is acceptance and distraction. The more a person fights the pain and resists it, the more tense and anxious the person becomes and the worse the pain gets. Sometimes it is best to accept the pain, go with the flow, and relax as best you can. "It is what it is" as the Buddhists say. Distraction also can help when the person can put their mind on something more interesting, engaging, and enjoyable. This takes some deliberate and purposeful intention and focusing. Practicing this distraction by refocusing is what I call "mind control." It is a skill which a person can get better at the more he/she practices. It is like a muscle that gets stronger with exercise. I have found that relaxation techniques can also be very helpful using isometric exercises where the person deliberately tenses and relaxes the various muscle groups in the body. For more information click here for an brief article entitled "Pain: The Two Best Psychological Techniques For Coping." on Psyblog.